Neomix Columbus BV is a company that specialized in production, sale, import and export of products for cleaning, hygiene, disinfection, personal care and animal care. 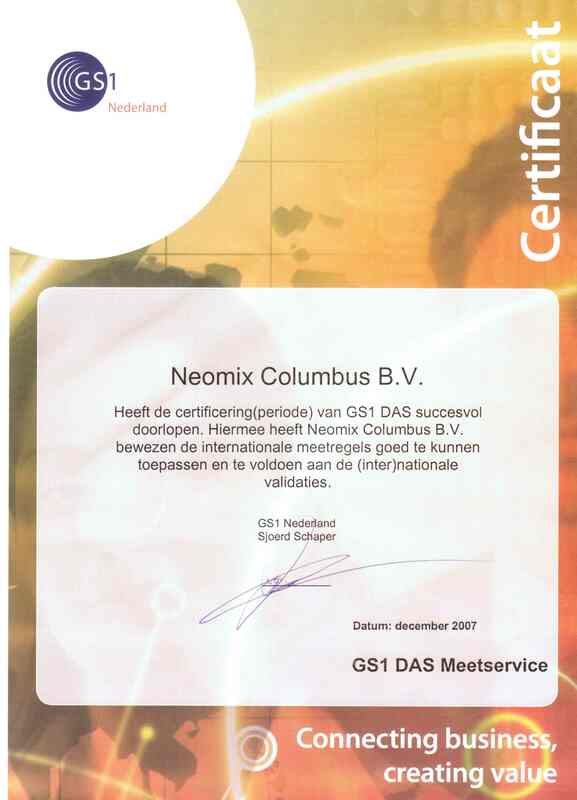 Neomix Columbus BV has been GS1 DAS certified. Neomix Columbus BV has well equipped manufacturing and logistics facilities to meet your specific needs. Neomix Columbus BV is founded in 1954 and focuses on brands and products that are produced in-house but also the production of your or our products under your label, we can perform. The products of Neomix Columbus e.g. are found in many market sectors including retail, healthcare, schools, institutions, transportation, veterinary - and the food industry. Besides quality, flexibility is one of the strengths of our company. Neomix Columbus produces a wide range of products for surface hygiene and personal care also called wet wipes with a wide range of applications. Neomix Columbus BV works under the guidelines of GMP Cosmetics ISO 22716.